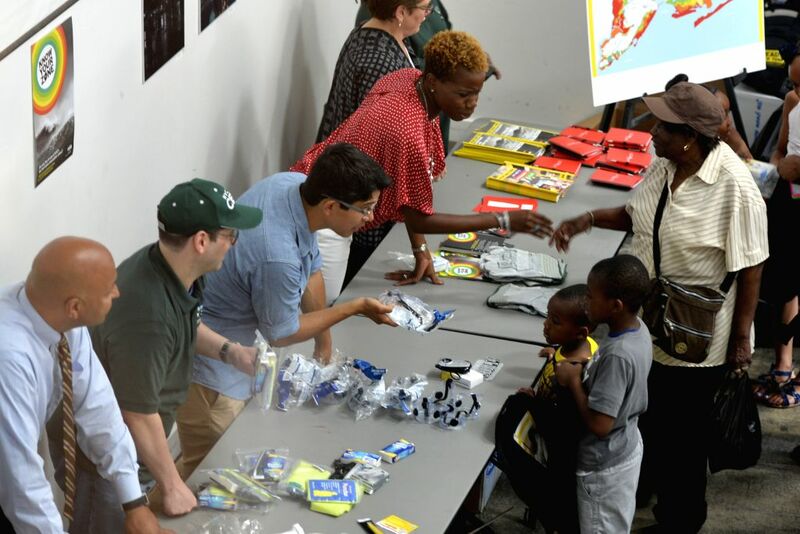 NEW YORK, Aug. 1, 2014 - Staff members of Office of Emergency Management (OEM) distribute life preservers to residents at an event marking the beginning of hurricane season in New York City, the United State, Aug. 1, 2014. Office of Emergency Management (OEM) on Friday encouraged New Yorkers to take steps to ensure they are prepared, as the City heads into peak hurricane season (August - October). 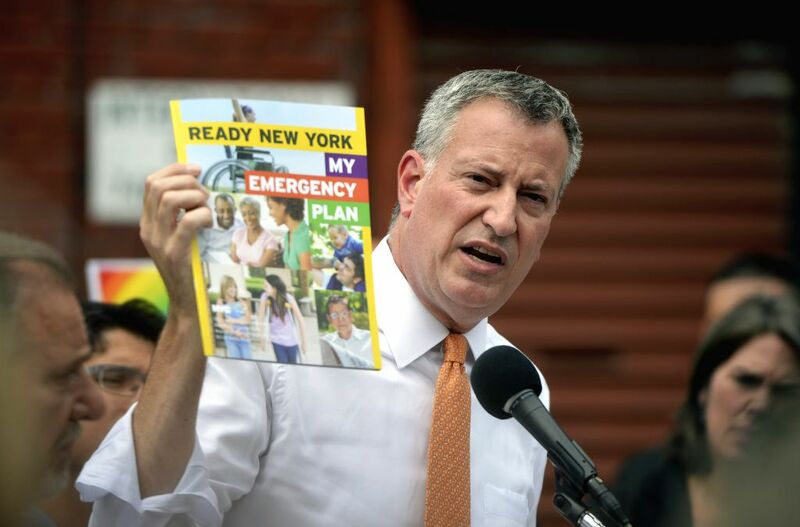 Mayor of New York City Bill de Blasio talks hurricane preparedness at an event marking the beginning of hurricane season in New York City, the United State, Aug. 1, 2014.